These days, it seems like I can barely go on my phone in the bathroom at work without coming across an article designed to make me feel guilty for not spontaneously quitting my job and traveling the world until I discover myself. As much as I'd love to abandon reality for a few months, I don't have a job with the flexibility or salary that allows me to do so. That's why I'm forced to live vicariously through the 20-something tourists I (mostly) manage to stop myself from yelling at while navigating the streets of New York on a weekly basis. While I might not have a ton of patience for groups of hopelessly confused pedestrians in matching $2 souvenir t-shirts who decide the entrance to the subway is the best place to stop and look at their travel guides, I make an effort to understand where they're coming from. Visiting a new place can be a daunting experience, and you can't be expected to know everything about the culture and customs. With that said, using common sense is usually a pretty good way to avoid being the tourist nobody wants to be while vacationing. Some of the pictures below might have been taken with good intentions, which is why some of them make perfect paving blocks to add to the road to Hell. If you ever travel, try to avoid repeating these mistakes. Remember when everyone and their mom decided to incorporate twerking into their daily lives? That was a weird time to be alive. And the Anne Frank House isn't the best place for your human pyramid (for soooooooooooooo many reasons). 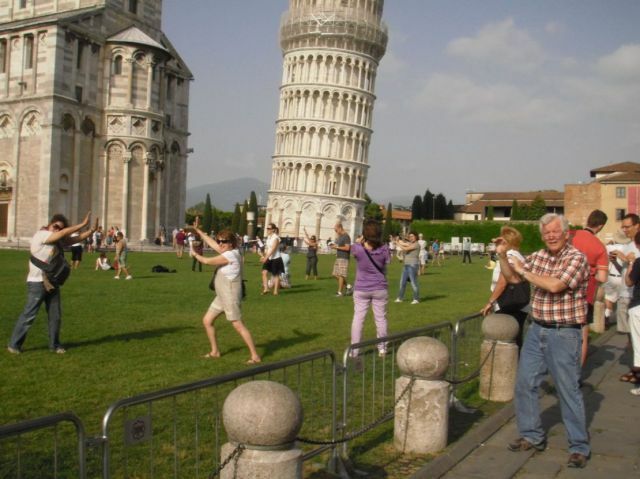 There's apparently something about the Leaning Tower of Pisa that makes people really want to do tai chi. You'll probably want to feed the monkeys. 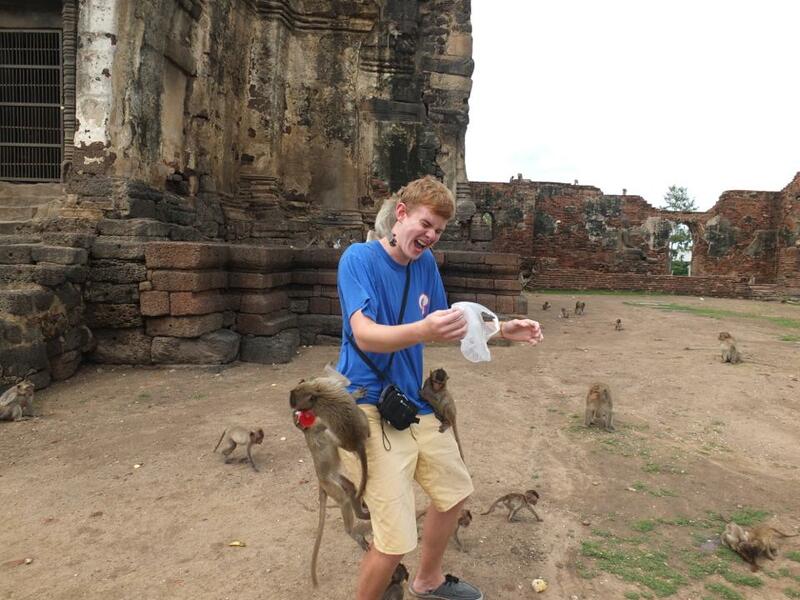 The locals will tell you to feed the monkeys. Do not feed the monkeys. 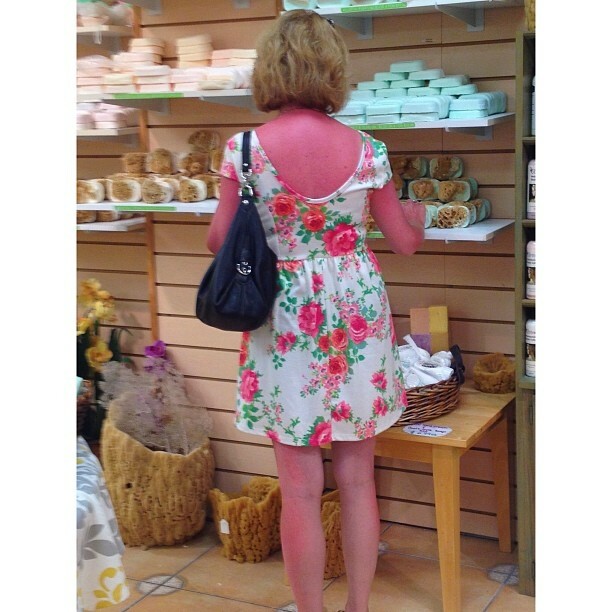 This sunburn is so bad that this woman might end up being responsible for the fist contagious case of skin cancer. I can't think of a better way to let everyone know you're a tourist. Wait. I take back my previous statement.